HomeInternationalShould The United States Overthrow Rodrigo Duterte? The United States does not have a great history when it comes to responding to genocide occurring in other parts of the world. The policy of the United States during the era of Nazi Germany was isolationism, that even though 6 million Jews, gays, and mentally disabled individuals were being slaughtered in concentration camps, rescuing the victims was not a priority. More recently, possibly within your lifetime, the Clinton administration sat idly by as the Rwandan genocide ran its course over 100 deadly days in the summer of 1994. 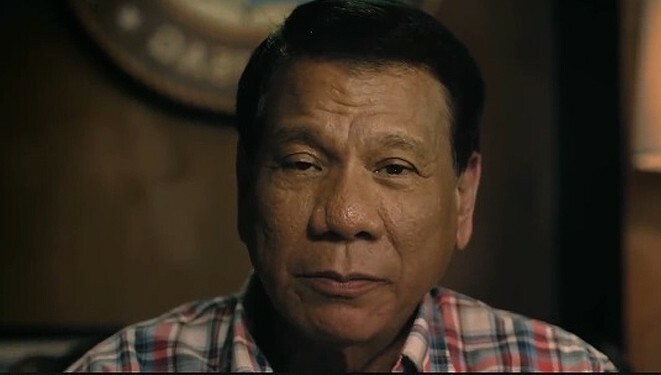 It would appear that the United States is about to ignore yet another genocidal crisis: the fascist of the Philippines, Rodrigo Duterte, is having drug addicts and other societal groups he deems undesirable murdered. This article will address the question on your mind — should the United States overthrow Rodrigo Duterte? In 1929, President Herbert Hoover instructed the State Department to prevent people from immigrating to the country, and the immigration quotas that were subsequently set were often unmet. This attitude continued even during the leadup to World War II. 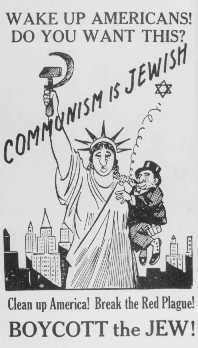 There had already been a wave of anti-Semitic sentiment coming over the nation, and the American attitude toward immigrants was quite hostile. The United States didn’t get involved in World War II until Japan attacked Pearl Harbor on December 7, 1941. While our history books love to tell the stories of American soldiers liberating concentration camps, the hard truth is that America really didn’t want to get involved and treated the people that were liberated with contempt. Since Duterte took office as President of the Philippines on June 30, 2016, there have been over 100 murders of members of the media for criticizing Duterte. Immediately after his inauguration, he announced a shoot-to-kill policy regarding drug users and urged his citizens to murder anyone they merely suspected of being a drug user or a criminal. In his time as mayor of Davao City, he helped found the Davao Death Squad, a vigilante group responsible for the murders/disappearances of over 1,000 people. Duterte is committing genocide, and so far there has not been a nation’s head-of-state to denounce Duterte and his disgusting reign. Amnesty International and some members of the United Nations have made mention of the situation in the Philippines, to whom he replied by saying they should hang themselves. Rwanda had a social caste system that dated back to tribal nations from the 14th century. Tutsis were the people with the power in Rwanda and they controlled the government despite being outnumbered more than 5-1 in the country’s population. Hutus were the lower people who were supposed to know their place. This was how things were for almost 700 years until the Rwandan Tutsi monarchy was overthrown by the Hutus in 1990. They installed a President and a mostly-Democratic government. The Tutsis weren’t entirely happy about being thrown out of power, and peace talks ended on April 6, 1994 when the plane carrying President Juvénal Habyarimana was shot down in a coordinated assassination attempt. A few hours later, the sitting Hutu government decided that Rwanda must kill any and all Tutsis and even some moderate Hutus who still supported peaceful integration, and the killing began in the early hours of April 7, 1994. The interim military governors ordered Hutus to “Spare no one, not even babies,” in their words, and with all moderate Hutus fleeing the country for fear of being killed as a traitor, there was no force to stop the Rwandan Army and Hutu militias. The military set up roadblocks in the urban areas of Rwanda, forcing any and all who wished to pass to show their national ID card, which showed ethnicity. Tutsis were killed on the spot. The genocide was stopped on July 4, 1994 when a militia known as the Rwandan Patriotic Front defeated the Rwandan Army and took back most of the territory exactly 100 days after the killings began. An estimated 800,000 people died, and we will never know the exact death toll because over 20 years later, they’re still finding bodies. The entire time this was going on, the Clinton administration, embarrassed by a failed peacekeeping mission in Somalia, decided its policy was to not get involved in conflicts that it didn’t understand and therefore it was not going to do anything to stop the killings. It’s unlikely that the United States will do anything this time to stop the genocidal maniac currently in charge of the Philippines. However, it’s what needs to be done and it needs to be done sooner rather than later. Preferably the action would be taken with unmanned drones, but if troops are necessary, then it would have to be done. Despite being in the minority of my party (the Democratic Party) on these sorts of issues, I feel that it is better to intervene in a situation that might not be as bad as it looks than to allow it to fester and spiral out of control and wish you hadn’t. Thanks for reading our article. We hope you’ll leave a comment down below and let us know what you think the United States should do about Rodrigo Duterte.